吉隆玻甲洞帝沙鹤功輔導站 CSCQ Kepong Station Kuala Lumpur: Sore Throat? This simple home remedy has worked 100% of the time for anyone that has tried it. Instead of suffering with a sore throat for a week or more, you can drive it away immediately, sometimes in less than a day. However, this remedy is not medical advice; it is a shared experience that really works! 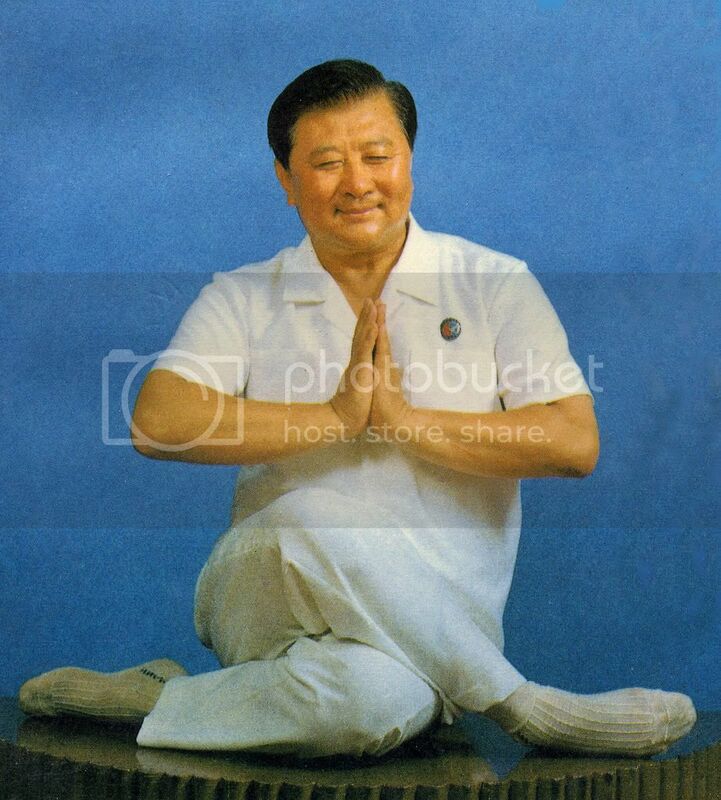 This site is not for profit; it's aim is simply to help people cure their sore throats. The most common sore throat remedies for sore throat are usually over-the-counter sprays, lozenges and pastilles that are ineffective and smelly. The most common doctor-prescribed remedies are antibiotics, which take time to obtain, cost money and can have many negative side effects. Most often, people waste time waiting while trying to figure out whether or not they really have a sore throat. By the time they realize they do have a sore throat, it's usually to the point that they are already suffering from serious sore throat pain, can barely speak, swallow or even eat. This remedy is salt, and not just about gargling saltwater, it is actually about using common table salt as it is. What you have to do is: tilt your head backwards and shake a little bit of salt straight into the back of your throat. Make sure you shake it straight into your throat, onto the base of your tongue and not over the middle or the tip your tongue (this way you will not suffer from any unpleasant taste). After that, do not swallow your saliva, just let the salt dissolve right there on the back of your throat, letting the salt stay there for as long as you possibly can. If you're using a salt shaker, shake 2 to 6 times depending how bad your sore throat is. 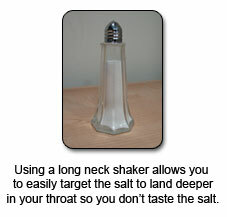 If you're using a fast food style paper saltshaker, you should shake about 1/4 of the packet directly into your throat. Also highly suggested, is to shake an even larger amount of salt into your throat right before you go to sleep for the night. During your sleep, without food or drink, bacteria thrive without any interruption to incubation and growth. Therefore, using salt while you are asleep can be extremely effective. Keep a salt shaker near your bed. If you wake up in the middle of the night feeling sore, you can shake some more salt into your throat. Salt is a very old remedy that kills bacteria. In the old days they traditionally used salt to preserve meat and fish. Why? Because salt attracts water and attacks the bacteria cell walls, causing the bacteria to dehydrate and self-destruct in the process. If your sore throat is really severe you can use salt as often as every 30 minutes. Use it as soon as you feel the first symptoms of a sore throat and the earlier you use it, the faster you’ll get rid of that sore throat. Salt is available nearly everywhere. You can stop in to any fast food place on any street and grab some. Don’t wait around trying to figure out whether or not your sore throat is serious. Instead you can use this quick sore throat cure. As soon as you feel the first signs of a sore throat, use the salt immediately. Gargling salt water is not nearly as effective since the concentration of salt is not high enough to take care of the problem. Also, gargling water requires a cup of water and the time to dissolve the salt in it, yet more inconvenience that makes you wait for relief. Not all sore throats are the result of a bacteria infection. Sometimes the cause is a virus, commonly known as influenza virus. Many times your sore throat starts as a viral infection which develops into a bacterial infection. Salt is intended to fight only the bacteria, not the virus. Therefore salt might not be totally effective if you are suffering from a viral throat infection. Nevertheless, you really have nothing to lose by using salt. According to experience, salt can be extremely effective in most all cases, depending on the cause of your sore throat. 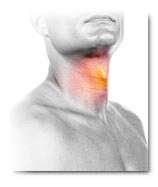 A sore throat is also often the first stage of a common cold, also known as the Flu. First to arrive is the sore throat, followed by nasal congestion and coughing. If you can take care of it fast, you won't wear down your immune system fighting the sore throat and your immune system has more energy to fight the other cold symptoms. 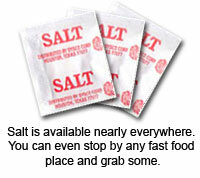 Therefore, using salt could also shorten the total duration of suffering from the common cold. Everybody suffers from a sore throat every year. If you find this advice to be useful - feel free to share it with your friends - and send them a link to this site. Do not smoke or use other tobacco products and avoid secondhand smoke.